"Trello Bot is easy to set up, harder to interact with." It's integration with slack is stellar and free. I love free things! It works well with alerting other users of tasks that need completed and it works like most other slack bots. I am not great at using slack bots, so my experience with trello bot has not been amazing. This is not Trello's fault, Slack's fault, or really anyone but my own - it is simply my personal preference. I find that I do not use slack bots enough to ever fully learn how to use them, so I end up just going to Trello.com (or the respective bot's site) because it is faster. It's free. You should try it. Trello bot makes interacting with Trello via slack as easy as any other slack bot does. It also provides nice notifications to the entire team - regardless of whether or not they have trello - and i like that. "Manage Trello Content from Slack easily"
I like the ability to quickly add cards or respond to tasks from Slack vs. having to toggle over to Trello. The set up is minimal to get this running (you must create if you haven't already a Trello Team and then invite Trello to the channels you want to use the bot in.) Also, you will need to add the URL of any boards you wish to work with in Slack. There are quite a bit of commands to memorize if you want to quickly accomplish more than just adding cards but the bot prompts you and provides you with the commands upon set up and there is a resource page to refer back to that lists the commands, too. You can get a lot of value and time-saving by using the bot with Slack. It's worth learning the commands. More and more with all of the productivity apps I use I prefer to stay as centralized as possible so I like to integrate where useful. Because I am a power user of Trello already it makes perfect sense to be able to quickly add and manage content from Slack to Trello using this bot. "Great for single list integration, but not so good for complex integration." It is great for very linear tasks, ie having people place items in a to-do list. Very easy to use and integrate into Slack. Besides text simple additions, not much more else can be done with it! All of the other great Trello uses are not very accessible. Don't beat your head trying to get Trello bot to do more complicated things than just simple additions. It can't do it. We use it to have an easy way for our lab members to populate our ordering system for items they need. All they have to do is send a message on Slack, using /trello, and our ordering people can then order it. Very straightforward, and have helped out our chaotic ordering situation. What I like about the trello bot is that keeps us developers updated of the current happenings with our stories in our trello through slack. It seamlessly integrates with Slack features. What I dislike about trello is the seamingly limited options it has for customization. I think it could become nicer in the future but for now customization options is lacking. If your already using trello and slack. don't miss having this bot around. It will make your life easier working with both of this software. The integration with slack is seamless and the trello bot will just keep on improving from here on. It's a must for those who have trello. When we wanted to use Trello bot, we wanted something to keep us informed in slack about our trello stories, what's been updated and finished. It made us less reliant on the the board and just focus on the current happenings in the trello notifications in our slack. 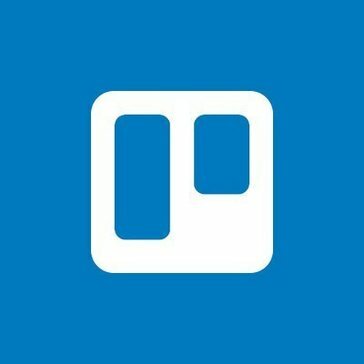 Trello is free! You can take advantage of Trello without having to subscribe to its highest subscription plan. In addition to the budget-friendly pricing, it is also user-friendly to any type of tech user. Trello puts a lot of effort into making sure its interface is simple to use. Butler bot is like the Siri to your device, where it can perform repetitive tasks that can be time-consuming. If you are on a paid subscription, I believe the butler bot is automatically entered, if not, it can be manually added. Butlerbot is helpful by creating tasks and assignments and updates immediately. In my opinion, Trello is missing one of the biggest features that all collaboration apps should have its own or create an integration tool for, which is a calendar app. The most important thing when it comes to collaboration is getting down everyone's schedule. It is one of the most asked questions whenever I plan on working with someone. Trello lacking this feature is actually one of the biggest reasons why I made the switch to Asana and Slack because there are commands that automatically sync my data onto my calendar and between both apps. Take into consideration whether calendar integration is important to you. Trello is used with the current internship I have with at the Planetarium. We use it for Improved collaboration, Syncing everyone's tasks and assignments at once, and a platform user-friendly and device friendly as there are iOS, Android, Mac, and Windows users on the team. Butler bot feature is commonly used in the admin department at my internship. I like that the notifications are succinct, (usually) relevant, and customizable with your channel preferences (i.e. you don't get push notifications unless you want them). I also like how it operates just like any other Slack channel -- you can write whatever you want there -- so it's not just limited to Trello notifications but actual messages from team members about content. Since my team has this app configured to give updates whenever pretty much anything on Trello is updated, sometimes the amount of info contributed to this channel becomes white noise. Consider how often you use Trello and how integral it is to your workflow. It was really helpful for my team of 10-12 writers who all write and review content at every step in the workflow process. However, if your interaction with Trello is minimal to begin with, it's probably not worth integrating with Slack. It keeps me from having to constantly have Trello up in a browser window to track my content going through review processes. It also makes it easier to see exactly when an update to a card was made. Once you complete the setup (of telling the butler what you'd like it to do) things are pretty easy! You'd be surprised how much time is saved just by telling the butler to move this board to this board if task is due in X amount of days or having it automatically add things to your calendar! By having this extra virtual set of hands it allows you free up a little time which adds up! There are still some kinks that need to be worked out such as when the butler doesn't quite do what you want it to do even though you've properly put in the commands. It's definitely worth looking into however be prepared for the learning curve and properly setting up your bot! The benefit is time saving. We almost need more hours in the day and by having this butler it allows you to free up a few minutes here and there which allows you more time to focus on more important matters. "Trello Bot not very user friendly"
I love Trello and I love Slack; however, trying to get the Trello Bot set up with Slack and vice versa has been very challenging. I am very tech savvy and think that for a normal user they would get very frustrated at trying to get it set up properly. This is very unfortunate because I can for sure see the promise of linking such great productivity apps together. See above. Pretty much the whole user experience is dismal. Project management and tracking tasks in a quick and efficient way. Would love to have to not jump back and forth between two separate applications; however, the integration of these apps is not very intuitive. You can search cards, assign teammates to same task and (it's the best) - just copy a card link and view full detail and interact with it! It's great bot in terms of notifications and card link parsing. We are using travel for planning out work and Trello Bot help us to same time and interact with the board and each other faster. Our teams use Trello as an organizational tool to breakdown different processes (editorial, design, etc.). Because we have so many projects in the works, there are often many notifications on many projects. It can be hard to locate the exact notification or update. But the Trello Slack bot allows us to send individual projects to the right group of people. The Bot eliminates some of the back and forth and searching that happens on Trello and brings the info/project straight to the source. Easily shareable to a large group of people. Helps with efficiency, easy to use and implement. I have no bad things to say about it. Can set up alerts so you get immediate notification (rather than the delay I have noticed with Trello). It's not a dislike per se, but it has happened before where the wrong permissions were given to Trello boards because people gave access to the wrong Slack group. This is a user error, so double check who you're sending things to. Other than that, I have no issues with the Trello bot. This is a must-have for those who use Trello and Slack. Helps with project organization, team communication and overall efficiency for our company. Set up alerts to your phone for certain Trello projects and boards to be immediately notified—this has been a big timesaver when it comes to hitting deadlines. Helps our organization with efficiency, fast communication and organization. We're able to give direct links to certain projects, etc. Helps bring the right eyes to the right information. Any update/change that happens on the Trello page is reflected into a channel. If someone doesn't need to go to on Trello, they can see quick update on Slack, which they were gonna go on anyway. The interface is just a little confusing when you first start using it, but it is easy to understand. I'm not sure what I would change it to, but I would change the Trello bot to make it prettier/more aesthetically pleasing. Trello was essential to me doing job, and being able to comment on a Trello card through the Trello bot on Slack was very useful. If I had to update a colleague about a change on Trello, I could easily do that on Slack not only with a Trello card change/comment change, but also by linking the Trello card on Slack. "Trello Bot is very useful!" I like how you can get quick answers to questions you have about Trello. If you are working on a project and need to know how to do a query or formulate some sort of organization of cards, you can quickly ask your question. There really isn't anything that I dislike about it so far. I have used it a few times now on different projects I am working on. It is just a nice feature to answer questions. My office uses it to work on projects at the same time online and comment/communicate with each other. So far, there hasn't been a lot I don't like. But as I use it more, I'm sure I'll discover things I didn't know existed or other shortcuts. Inefficiency. I'm able to save time with the Trellobot. "Slack + Trello = Perfect Combination"
Two of the best collaboration apps come together, making a robust application. It is a bit tough to get the Trello plug in to work properly. Having a simpler Trello setup helps with the Trello Bot setup. Instead of checking things on Trello and Slack, we can see everything on Slack. "Trello is great to remind you about upcoming tasks on your board"
If you use trello a lot for task management, the bot is perfect for you! It helps you easily see tasks you are working on and rearrange when necessary, and it perfect to get easy to see updates to the whole team. Hard to get a hang of at first, but once you get the hang of it it is a great tool! Trello Bot helped to make trello easier to use and at our figner tips on slack without having to sign into another platform. "Awesome Bot for Trello Teams"
The ability to have the card's details expand in Slack and to comment or assign cards to team mates. Nothing that I really dislike. It is a functional bot that allows me to update cards and see where projects are at without leaving Slack. If you are using Slack and Trello then it is a not brainer to install the bot for quick access to your cards and boards. It allows us to keep a lot of our communication in Slack. Trello is great for project management and internal communication. Nothing comes to mind- Trello is visually appealing and well organized. We use Trello to solve software bugs and project manage internal initiatives. It has helped dramatically. "Excellent way to organise tasks in a group"
It definitely helps us track our data at work so we know what exactly is an issues vs what's a one off situation. It shows us how common the issue is and keeps things organized when feedback is given to our developers. I really like the dashboard however I feel that others I’ve used have more functionality. I didn’t really like all the functions. We used the free version so I’m not sure if the paid version had more. But, I felt that other free project management tools had more functions. I would try out a few project management tools before you pick this one. It is easy to use but may not have everything you are looking for. We were using it to organize my marketing projects for one of my internships. "Still trying to determine how it works"
"Great for multiple task management"
It is nice that it updates you on the progress you and your teammates have made. The idea is great that because I love segregation of information while being able to see it as a whole. I do not think Trello is the ultimate project management tool because it is really easy to become really messy and lost, especially with multiple users. Although the projects are separated, I do find that managing the workflow can get really hectic and messy. As mentioned previously, simplicity into the workflow could be appreciated. I like the dynamic integration of Slack and Trello. I don't dislike any big thing in this case. I would say the size of the font could be reduced. I am saving time and updating my team at the same time on common projects. "Handy tool. Easier way to get notifications than the usual Trello notifications." Easy to setup and use. Gives the right information. Sometimes when there is a lot going on it just becomes clutter. Make sure your whole team understand the need to use it and keep up to date with activity. It's a cool product, I use it for onboarding new employees to our company and keeping track of all the training materials in one place. Sometimes the layout does not work for what I would want it to work for. "How to organise your work life with Trello"
The "robot" part of things can get a little nerve wracking for me. I like to control things and like to be in one place instead of a robot "taking care of things"
Being able to see the information posted on Trello on the relevant Slack channel so that I don't have to go between apps. I'm still trying to figure out the best way to use Trello to maximize my work efficiency. "Great automated experience for canned assistance"
The trello bot allows for excellent integration with other team organization apps. Learning to submit projects through Trello bot can be a bit like learning a second language. "Good for basic projects and smaller teams"
"Trello solves it all (as always)"
Trello's integration with Slack communication helped me stay on top of my tasks. * We monitor all Trello Bot reviews to prevent fraudulent reviews and keep review quality high. We do not post reviews by company employees or direct competitors. Validated reviews require the user to submit a screenshot of the product containing their user ID, in order to verify a user is an actual user of the product. Hi there! Are you looking to implement a solution like Trello Bot?